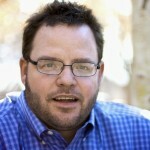 Jay Baer, @jaybaer, is known for being one of the top minds in online marketing through his blog Convince and Convert. He’s spoken at a lot of different events teaching companies and individuals how to stop focusing on the individual tools and start focusing on a larger strategy that helps convert consumers of content into customers. I’ve had the great pleasure of hanging out with Jay a number of times including a couple of conferences last year where we had the opportunity to get fairly close. Jay is a very smart and experienced online marketer who I look up to immensely. A huge thanks again to this show’s sponsor, @oneforty. If you’re looking for great applications that extend the functionality and general usefulness of the Twitter platform you must check out http://oneforty.com. They’ve got over 3,000 applications listed on the website with review by real users. Every character counts so do more with oneforty.